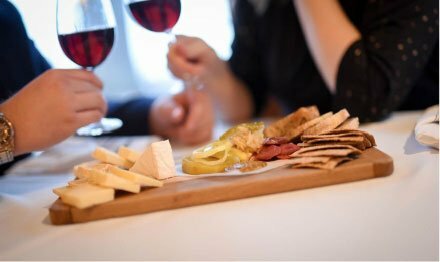 Sweeping views of Lake Erie and proximity to Ohio’s finest wineries are a couple of reasons why Geneva-on-the-Lake is one of the best romantic getaways from Cleveland. Read on to discover four great ways to surprise your sweetie! Afterward, if you are looking for more inspiration, download our free Geneva-on-the-Lake Vacation Guide. It is full of recommendations on restaurants, wineries, parks, entertainment, and more. Geneva-on-the-Lake is only a one-hour trip away from Cleveland, making it a convenient destination for your next romantic getaway. Once you arrive, you will find that there are so many beautiful places to see in the area. If you are planning a proposal, there are several romantic backdrops to choose from. The beach, a Lake Erie lighthouse, or even a covered bridge are all wonderful options. There is something inherently romantic about a winery at sunset, and the Geneva area is home to several wineries and tasting rooms. You will find as much variety in the tasting experiences as you will in the wines offered. Best of all, many of the tasting experiences and tours are both fun and also affordable. 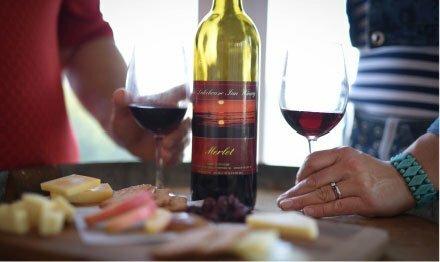 At The Lakehouse Inn, we offer $2 wine tastings from our very own winery each afternoon from 12:00 p.m. to 5:00 p.m.
You can never go wrong with a trip to the spa. The peaceful and tranquil atmosphere makes it ideal for relaxing and enjoying one another’s company. Plus, it is one of the best ways to put your best face forward before a romantic dinner or evening out. Our spa packages are one of the best ways to spoil yourself and your sweetie! Dinner at an amazing restaurant is one of the most important aspects of planning a romantic getaway. If you want to ensure that you choose the best, we recommend Crosswinds Grille. It is only steps away from our boutique inn and is the only farm-to-table restaurant in Geneva-on-the-Lake. Here, you will find a menu full of classic dishes like wood-fired pizzas, savory charcuterie boards, and other seasonal specials. Other popular fine dining options in the area include Bascule Bridge Grille & Wine Bar and Ferrante Winery & Ristorante. 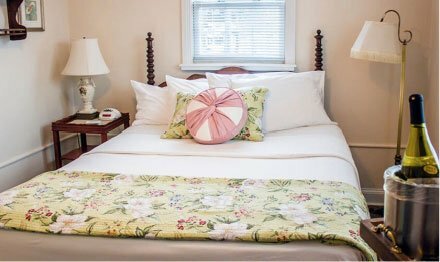 The beauty of choosing a boutique inn is the personalized touch that you receive with your stay. At The Lakehouse Inn, we offer several special packages that are perfect for any romantic getaway. 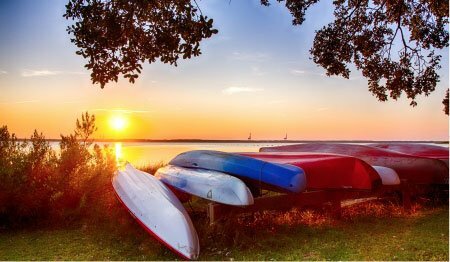 Whether you are planning a lakefront wedding proposal, date night, honeymoon, or anniversary celebration, we’ve thought out every detail for you! When you book a stay in any of our cozy accommodations, like the Beach House, you can always look forward to the best amenities and top-notch service. Breakfast at Crosswinds Grille, spa services, wine tasting, and beautiful views of Lake Erie are a few perks that you can enjoy. When you are ready to surprise your loved one with a romantic getaway from Cleveland, check our availability and book your stay. We can’t wait to host you at The Lakehouse Inn!